As if we didn’t love and respect him enough already, now comes the news that Mike Ashley held regular senior management meetings during lock-ins at the pub and would challenge subordinates to extreme drinking competitions. What a guy! Anyway, it gives me a topic: films about drinking. It doesn’t have to be booze, I suppose, but…. I’ll start with a classic: Who’s Afraid of Virginia Woolf?, in which Taylor and Burton are a magnificent pair of drunken beasts. What films about or featuring drinking would you recommend? Last night I was rummaging at the back of a drawer full of bits and bobs (we’ve all got them). 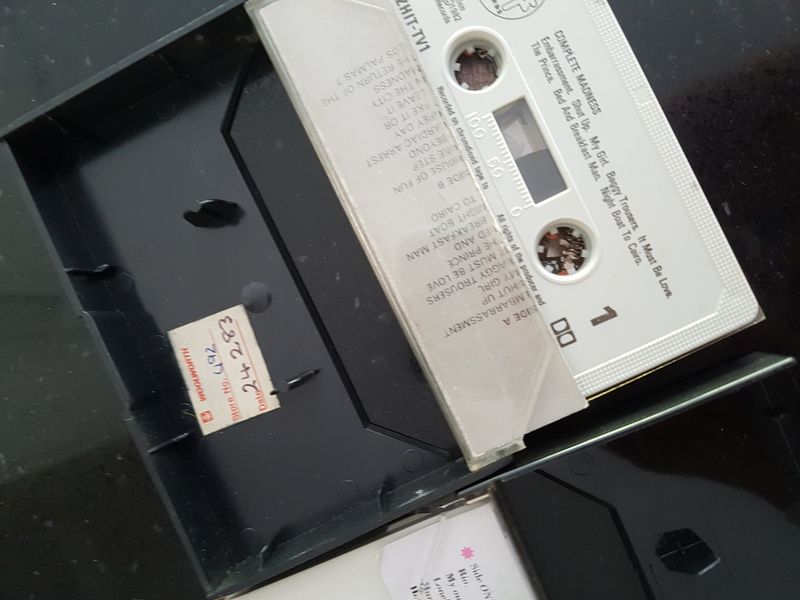 Amongst the detritus of coins, competition medals and lip balms, hiding under a never sent “Good Luck in Your New Home” card I found these 2 cassette tapes. 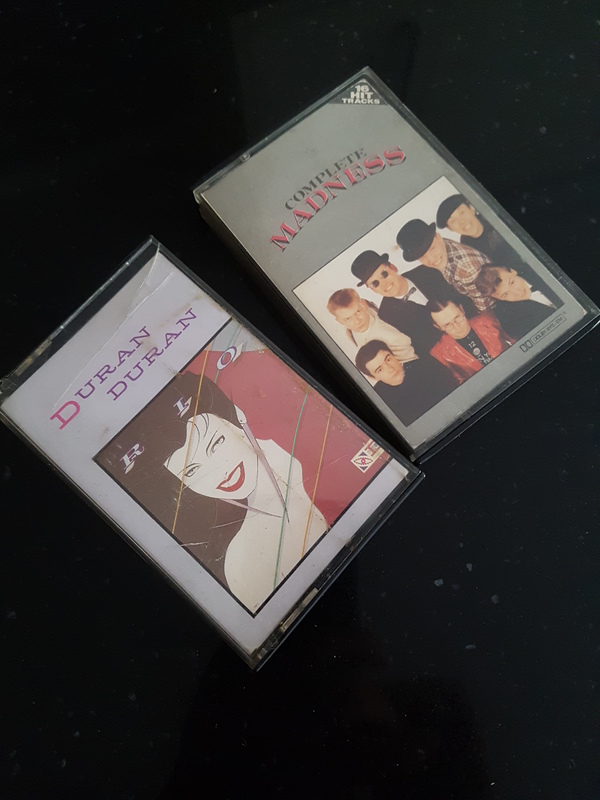 These are the first 2 cassettes I bought for myself. The Woolworths sticker on the inside of the Madness case states they accepted into stock early in 1983. This is about right according to my memory. I have also used Tippex on each tape so I could write my name on them to ensure they weren’t pinched by any of the girls I shared a dorm with at school (it’s always weird to see my birth name when I haven’t used it for some years). The Duran Duran tape also has my home address from 1983 on the sleeve, I guess in case I lost it and some kind stranger could post it back to me! In the same year my dad went on a work trip to Hong Kong and brought back a (no doubt pirated) copy of Thompson Twins’ Quick Step & Side Kick. 1983 was the year I really started to be interested in music. I was 11. It was the year I started senior school. Today I’m taking my daughter for her first taster day at the senior school she will attend in September. I feel like I found these tapes for a reason last night….